The Circuit Court also hears appeals from District Court; appeals from local government boards such as zoning appeals; and appeals from some administrative agencies of state government such as the Driver’s License Appeal Division of the Secretary of State. 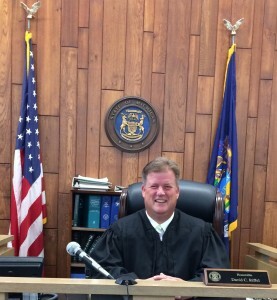 Judge David C. Riffel was elected to the bench in 2016. To view the current 23rd Circuit Court Calendar please click on the link above. 1. No weapons are allowed in the Iosco County Courthouse. This prohibition does not apply to court security personnel in the performance of their official duties or law enforcement officers who are transporting prisoners. 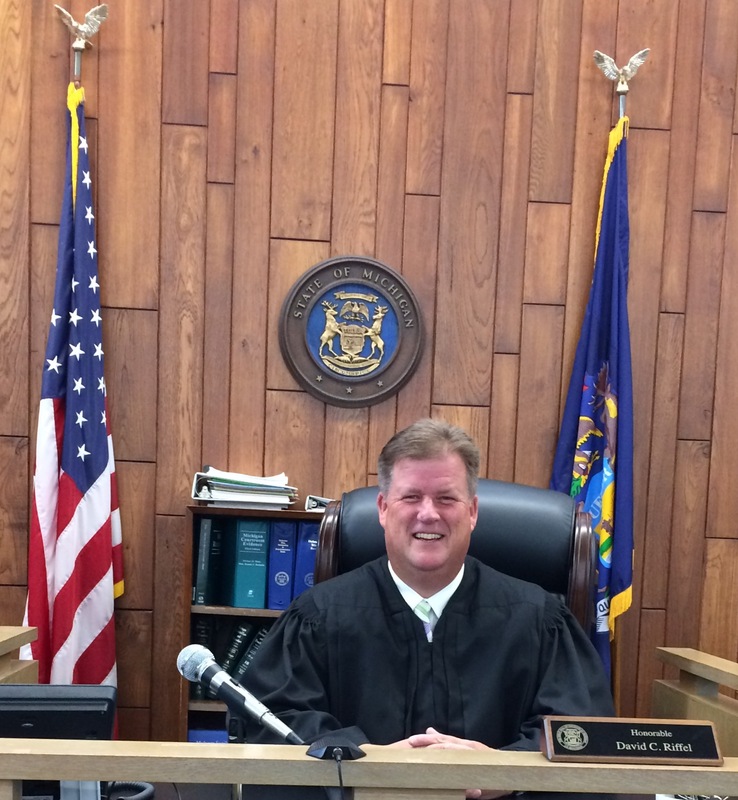 The Chief Judge may authorize additional exceptions in extraordinary circumstances. 2. All persons and their belongings and all parcels are subject to screening by the Iosco County Sheriff Department or the Court Bailiff for the purpose of keeping weapons from entering the facility. If at any time there is an articulated or reasonable suspicion that a weapon may be found, a person or object is subject to search. The search shall be no more intrusive than necessary to protect against the dangers presented. 3. Notice is posted that “No weapons are permitted in the Iosco County Courthouse. All persons and parcels are subject to a search for weapons and restricted items as a condition of entry. Persons in violation of this order may be held in contempt of court”. 4. All cellular phones and pagers must be turned off before entering the courtroom. Litigants, witnesses, and jurors shall be appropriately attired when attending a session of court. Proper attire for gentlemen could include: button shirt, sweater, slacks, shoes and stocking. Proper attire for women could include: dress, blouse, sweater, skirt, slacks, suit and shoes. No bare feet, bare midriff or shorts will be allowed.